Muslims named Jerusalem al-Quds (the Holy One). In the successive Arab empires, the region formed an administrative unit which was called Jund Filastin (Military District of Palestine). It formed part of the much larger territory of Bilad al-Sham – also known as Greater Syria or the Levant, which covers the territory of the present-day modern states of Lebanon, Syria, Jordan, and Israel/Palestine. Its inhabitants were called Shamiyin. 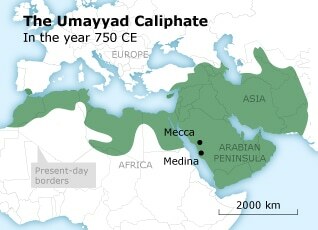 The rule of the Umayyad caliphs, whose seat was in Damascus (661-750), was replaced by that of the Abbasid caliphs (750-969), who transferred the administrative centre from Damascus to Baghdad. A Shiite dynasty from North Africa, the Fatimids, eventually drove the Abbasids from their territory. These afterwards became involved in a power struggle with the Seljuk Turks who captured al-Quds in 1073 but who were driven out by the Fatimids in 1098 – on the eve of the arrival of the crusaders.